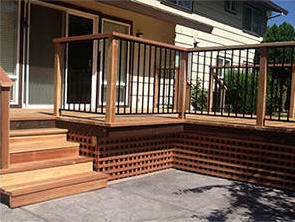 A wood or composite deck can transform your yard, and be the centerpiece of your outdoor enjoyment and entertainment. Waking up and having a coffee on your deck as the sun rises, having a place to relax on those hot summer evenings, and entertaining friends and family on weekends can bring a new level of enjoyment. Are you tired of your outdated bathroom? Do you imagine yourself cooking in a kitchen fit for a chef? Have you always wanted to add your own custom touches to your home? The team at 3D Benchmark Builders wants nothing more than to help you turn your home improvement fantasies into remodeling realities. 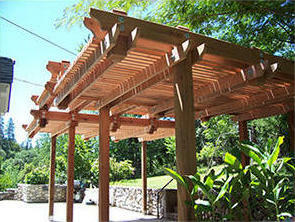 Looking for a little extra shade, privacy or protection? 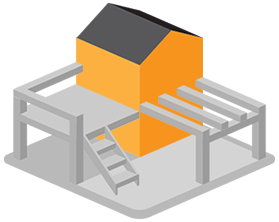 Our series of overhead structures are some of the most cost-effective ways to transform your back yard. 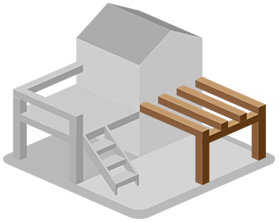 Whether building a patio cover over a deck, an arbor over your garden, or a shad structure over your patio, you will be sure to be cool and dry with any design. 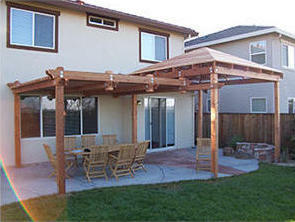 3D Benchmark Builders, Inc. is proud to be locally owned and operated in the Sacramento Region for over a decade. Owned by two former marines, and founded on the principles of integrity and craftsmanship, it's no wonder why 3D has become known for it's pride of workmanship, customer service, and attention to detail. Have a seat. Let's talk about your project. 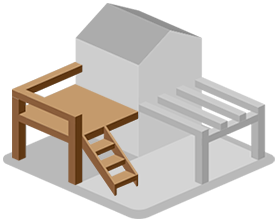 3D Benchmark Builders is the premier provider of composite and wood decks, wood patio covers, awnings, canopies, arbors, and shade structures, as well as iron and wood deck railing systems in the Sacramento metropolitan area. 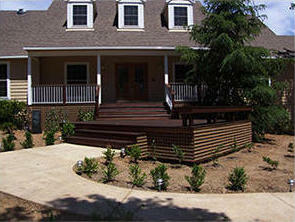 Based in Sacramento, 3D Benchmark Builders provides elegant and functional deck, patio cover, awning, arbor and deck railing solutions to residential and commercial clients in the communities of Sacramento, Carmichael, North Highlands, Antelope, McClellan, Citrus Heights, Roseville, Rocklin, Penryn, Loomis, Lincoln, Newcastle, Auburn, Meadow Vista, Colfax, Placerville, El Dorado, El Dorado Hills, Diamond Springs, Shingle Springs, Cameron Park, Folsom, Granite Bay, Orangevale, Gold River, Rancho Cordova, Rancho Murieta, Sloughhouse, Elk Grove, Galt, Davis, Woodland. For more information, please call (916) 688-3500. Send all correspondence to 8037 Fair Oaks Blvd, Ste 102, Carmichael, CA 95608.